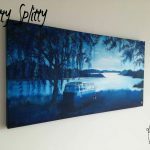 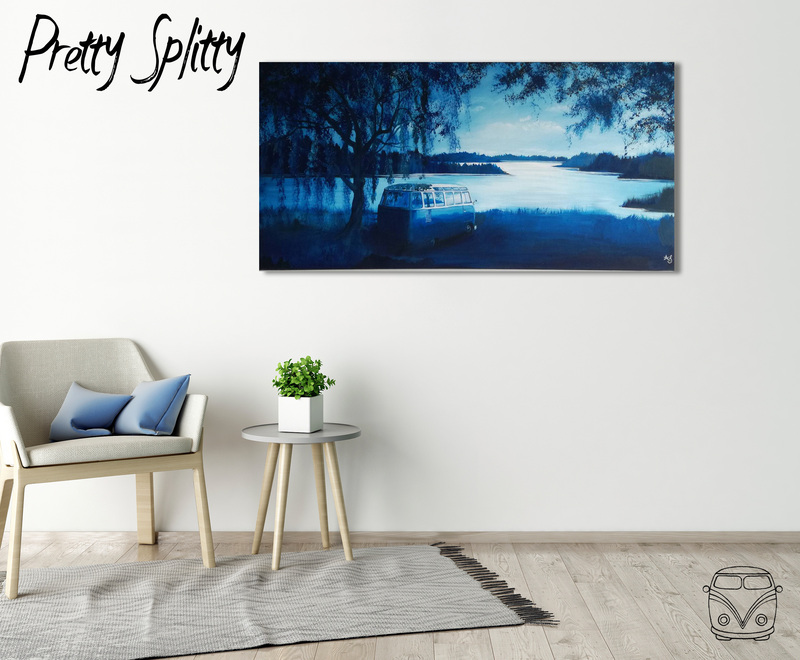 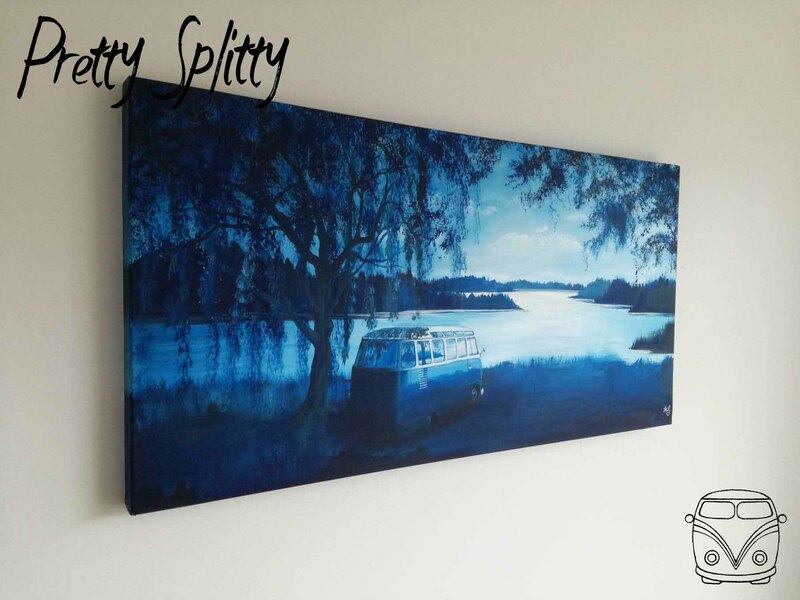 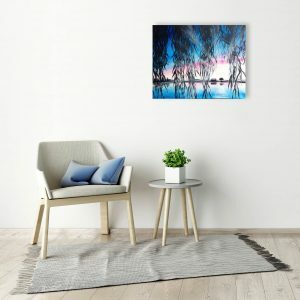 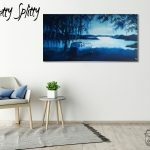 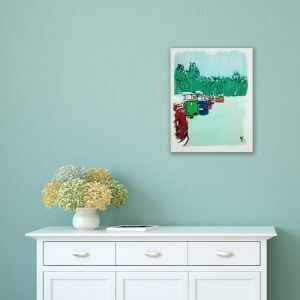 Escape amongst the gentle blue hues of this stunning painting by Pretty Splitty. 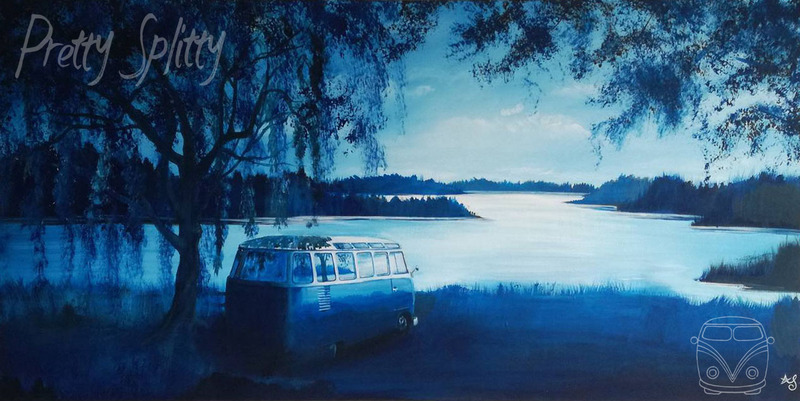 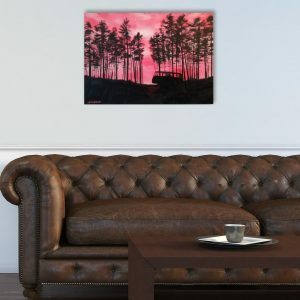 Step inside the Camper Van and look out across the calm waters away from the hustle and bustle of everyday life. 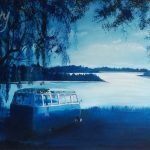 Feel memories of the adventures you’ve shared come flooding back and feel inspired to plan your next adventure.